The May 31 deadline for state lawmakers to approve a budget and solve a $6 billion shortfall is quickly approaching. 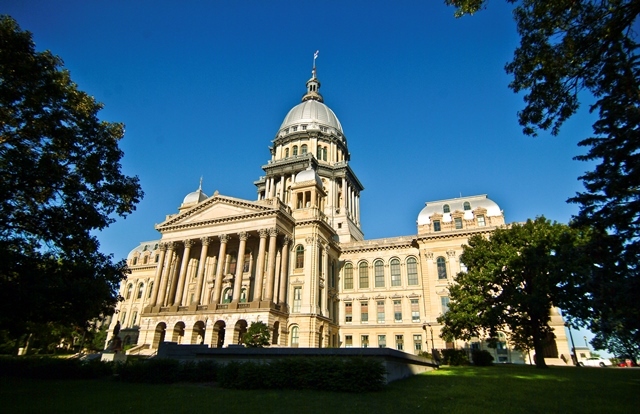 We talk with Chicago Tonight Springfield reporter Amanda Vinicky about what tax hikes and other revenue generators are on the table, what services could be on the chopping block, whether lawmakers will be able to pass a budget before the end of the month, and, if not, how that affects the numerous legislative items on their plate. At a press conference today, Senate Republican Leader Christine Radogno and House Republican Leader Jim Durkin tried to put the heat on Democrats as the end of the legislative session nears. If no agreement can be made before the end of the month, lawmakers will have to hash out their differences in a special session that would require a super-majority in order to pass legislation. But who would benefit in such a scenario and what does it mean for other pieces of legislation, like a Chicago casino? We’ll also talk about the House passing a bill that allows parents to opt their kids out of a controversial standardized test, the Partnership for Assessment of Readiness for College Careers, also known as PARCC. The exam has been criticized by teachers, parents, and students, who would rather focus on tests that affect their chances to get into college, like the ACT and SAT exams. But some lawmakers fear that allowing students to get out of the test could risk about $1.3 billion in federal funding. Also today, the Senate approved a bill that allows terminally ill patients the chance to take experimental drugs and treatments not approved by the FDA. The measure now heads to the governor’s desk for final approval.